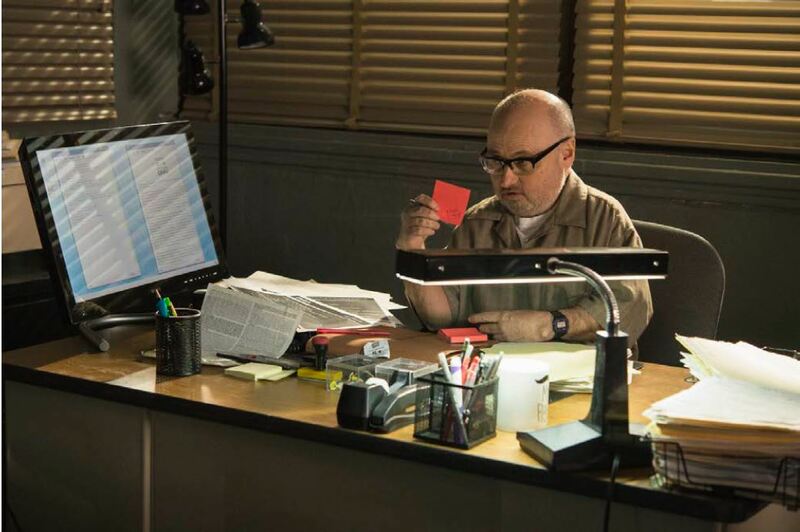 Home Latests Posts Clark Middleton (The Blacklist, The Path) talks about his life & career. Clark Middleton is an actor in much demand. He currently appears on two shows: NBC’s The Blacklist and Hulu’s The Path and will also be part of the forthcoming TV show Twin Peaks. Clark talks about his years growing up with Juvenile Rheumatoid Arthritis and the pivotal role his father played in his personal development. He is also an advocate for the Arthritis Foundation and explains why this organisation means so much to him. PC: Hey Clark, nice to speak to you. CM: Nice to speak to you too Paula. PC: So you grew up in Arizona but before that you lived in Kentucky. Your family moved to Arizona because basically your dad was told it would be better for your health. CM: Yes, I was diagnosed when I was four-and-a-half years old with juvenile rheumatoid arthritis. We were living in Louisville, Kentucky at that time. The doctors said I would probably not live through another winter in the cold, damp climate. My dad immediately quit his job and moved us to Tucson, Arizona for the warm dry climate. He got a job right away, as a high school shop teacher. I have always thought that was a really courageous, determined act on his part because people did not just uproot their families and do that back then. PC: I was sorry to hear your dad passed away earlier this year. The make up person was there when I received the news and she couldn’t have been more kind. She too became emotional and gave me the biggest hug. Everyone was very warm and giving and by the time I got home there were flowers waiting for me at the front desk of my apartment building from The Blacklist. I was very moved and appreciative of their generosity of spirit. 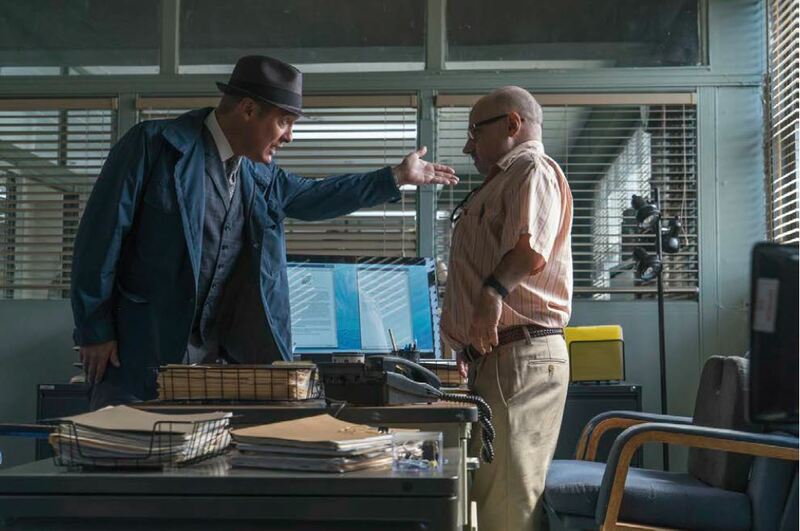 PC: Everyone I’ve interviewed who has worked with James Spader has said he is a fantastic actor and such a nice man. CM: He is a wonderful actor! I’ve been lucky, I’ve worked with a lot of great actors, but James’ efficiency, and attention to detail is inspiring. I deeply appreciate that in any actor. Anything the camera photographs will not have an ounce of untruth because James will have caught it. I try to be very meticulous when I work and I really love actors who do the same. James takes it to a whole new level. I’m grateful for that and love every minute of it. PC: Obviously your character and his, Glen and Red, have such great chemistry: is that the same with you and James? Hisham said he and James had that chemistry. Do you feel the same about how you and James’ work together? CM: Oh, yes, absolutely! That’s what I’m always looking for in another actor when I work. The ability to connect my own humanity to the other person’s humanity within the framework of, what I like to call, ‘the fictional reality’. So yes, from day one I felt that chemistry with James. PC: When you are doing your scenes together (because they are so funny) are you able to get it down in as few takes as possible or are there moments where you are both dissolving into laughter? (Because Glen is so dead pan and Red is so grrrr, and then you deliver one of your lines and he rolls his eyes and starts acting outraged). CM: We work in a very focused way and move through it rather quickly. I do a lot of homework so I can show up on the set and be ready to go. You have one run through just for the director, and then they bring in the crew and the DP and you run it once for them. By then you’ve ironed out the details and it never takes more than 15 minutes. Then you sit for 10-15 minutes while they light the scene and then you come back and shoot it. Yes, sometimes there is a bit of levity, and we’re enjoying our work, but for the most part it’s a group of professionals that are focused and bringing their A game because we all care about the show. CM: The writing is so great on The Blacklist that I wouldn’t want to touch a single comma. From the very first moment I read the script, I thought, ‘This writing is just wonderful.’ There is a heartbeat to it and if you start improvising then you are going to be off that heartbeat. There’s a flow to it and if I were not on top of it I wouldn’t be able to get into my acting instincts. PC: So you are telling the story that they have already written. CM: Absolutely! That’s my job and I wouldn’t do it any other way. There have been many instances in my career where I’ve improvised and enjoyed it but it would be defeating my own performance on The Blacklist if I were to do that. And it would be unprofessional. It’s all right there on the page and I’m just running with it. I wouldn’t want to monkey with it. CM: I love trying to get his goat and the competition between them. I think Glen wants to feel vital and important and more than just the guy that runs the DMV. And, he IS vital to Red. He knows that and loves playing that card. But, I also think that somewhere down in the deep and dusty little corners of each of those guys there lives a real affection for each other. At least that’s my point of view. PC: Fans, myself included, always say, ‘I wish we could see more of Glen’ but do you think it is a case of the writers deliberately leaving us wanting to see more of those types of scenes and just more of Glen, period? Hisham was saying he would like more lines (which he is getting nowadays) would you like to be in more episodes or do you think it’s a fine balance, how much we see of a character? CM: Of course, I would love to be in every episode but at the same time I’m completely supportive of them doing what’s best for the show. PC: We would love to see more of you; I mean it really adds light relief to all the rest of the stuff that goes on in an episode. CM: Thank you! The responses that I get from fans of the show is so gratifying. My father had been very sick the last couple of months of his life. He was in a treatment centre and I’d been in Arizona and spent a week with him just before shooting The Blacklist episode. When I walked into the treatment centre suddenly everybody lit up. ‘It’s Glen Carter from The Blacklist! I love Glen! !’ So the last few weeks of his life he received a lot of very special attention because of that. PC: Did he enjoy all that and revel in the fact that they were so taken with your character on the show? CM: Oh yes and he loved Glen! He loved to laugh so Glen was the man! PC: How did you get the part? Was it just the normal audition process? CM: I’d auditioned for 2 or 3 times for other parts in the past and they’d gone in a different direction. I always had a great time in those auditions but I probably just wasn’t the right fit. I tuned in to an episode one evening and John Glover was playing a part I’d auditioned for. I thought, of course, I would have cast him in that part too. He’s a very special actor. Then I got a call one day from my agent saying, ‘They’re offering you a part.’ The casting director had taken my audition tapes to Jon Bokenkamp, the creator and exec producer, and they eventually cooked up Glen and handed it me. What a great gift! PC: I might as well ask some fan questions whilst we are still discussing The Blacklist. One fan asks what has been your favourite scene so far? CM: Well I love them all so that is really hard to call. I am in an episode that airs April 20th that I think is especially fun. The two scenes I have are probably my favourite. Especially one of them. I can’t really tell you what happens, but it was a blast to do! My eye caught the crew silently shaking with laughter during one of the takes. PC: Another fan question is: there are some cast members who have been very involved in the theatre; would you be interested in collaborating with them in some sort of production? CM: Yes, of course, I would love to. There are a lot of really wonderful theatre actors in the cast and the guest stars are often wonderful theatre actors too. James is a wonderful stage actor! I’ve done a great deal of theatre and would love to revisit it with any of the very talented bunch on The Blacklist! PC: The final question from the fans: do you get any ribbing from your friends about being the DMV guy? CM: It’s funny, I was in a restaurant the other day, I was sitting with a friend and a man came up to me and said, ‘Excuse me I don’t mean to interrupt you,’ then he pulled out his driver’s licence and said, ‘I’ve got this problem with my DL and I’m wondering if you can straighten it out?’ I’ve had a lot of those kind of things. Especially in airports. PC: I think we have exhausted The Blacklist now so I want to get back to your dad. How do you feel, looking back, about his strength and determination in not letting your health issues define you or get the better of you and him pushing you to go forward through sheer hard work? When he took me to Arizona as a little boy, he’d made a bed in the back of this old Ford station wagon. In those days there weren’t freeways, so you took highways that went through every town. Big and small. There were thousands of traffic lights from Louisville, Kentucky to Tucson, Arizona and he would slowly ease the brakes so there would be no jerking of the car because it hurt my joints. He made sheet metal containers that he would pour hot melted paraffin wax in. He would put my feet and my hands into the hot wax and then he would wrap them in Ace bandages so that intense heat would get into my joints. He was always thinking out of the box and doing whatever he had to do to get me through it. He also taught me that the world is a pretty safe place so you can get out there and take risks. But, at the same time, he would say that life can be tough so you have to work very hard if you really want something. There are no short cuts and nothing comes easy. He would say, ‘Just because you have a disability doesn’t mean you’re entitled.’ Other things like, ‘If you give the world the best you’ve got, the best will come back to you.’ Or, ‘If you have a job as a window washer be the best window washer in the world and I promise you won’t be washing windows long.’ All of that has truly come to pass in my case and I am one lucky dude to have had him as a Dad. PC: How did he become so wise? Where did he get his learning and inspiration from? CM: Well he was a big, healthy man and he was born and raised in Harlan county, coal mining country, in Kentucky, and another tiny, little town Crab Orchard, Kentucky. My grandfather, who had no education and was a fine and very colourful man, right out of Mark Twain, went from working in the coal mines to being a boilermaker on the Louisville Nashville Railroad line. He also had a pretty tough mom who had great core, old country values and wasn’t afraid to shoot the window out with a shotgun when she thought a moonshiner was breaking into the house in the middle of the night. He’d also been in the Navy and said his stint had taught him a lot about discipline and he was able to get his act together and get a good education. He was the first one in his family to get not only a high school diploma but a master’s degree in college. I just think he had this beautifully wilful determination to give the best he had. Especially for his sons. At the same time he had an extraordinary sense of humour and he was really a lot of fun! PC: How did your mom react to the way he pushed you? Or was she of the same mindset? CM: My mother was very loving, and still is, a very loving and good woman. It seemed to me that the situation with my illness was very destabilising for her. A lot of the time when I’d be going through a difficult time I would do my best to hide the pain because I could see how shaky it had made her. My Dad was the driving force without question. An oak that couldn’t be shaken! I recently spoke in Washington DC to over a hundred children with JRA and I told them all about him. I said that he always believed that, despite this, you can have the best life you can have. I also spoke about the loneliness of being a child with that disability. The kids all decided to start a network to stay in touch and support each other in dealing with those issues, as well as being available to other young disabled kids. They’re calling themselves “The Young Mels”, named after my dad Mel Middleton. My hope is that they take those values he taught me and make them work for themselves the way they have worked so well for me. He used to say jokingly, ‘Hey I’m just an old country boy from Kentucky.’ But that old country boy from Kentucky sure did affect many lives in such positive ways. And he still does! I am a lucky recipient! Since he passed away, of course it’s been heartbreaking and, of course we miss him greatly, but his service was also joyous because he lived to be almost 88 and was pretty healthy until the last couple of years of his life. He had a great many friends and a wonderful family. He really did have an exceptional life. A life well served. When I spoke to the kids I said to them, I am sharing the story of his life with you but he is the one who wrote that story simply by how he chose to live, the decisions he made, the actions he took. I told them that every day you deal with adversity, and how you deal with that adversity, is a golden opportunity for you to write your own story. Make it a good story! Make it a great story! A great story is a great life and it lives on. I really hope his story rubs off on them the way it has for me and then they in turn make their lives wonderful stories! PC: Yes it would have been easy for him just to accept that you would not get better instead of inspiring you the way he did. PC: He sounds like an amazing guy – a hero! CM: Oh, yeah! He was my hero. Deservedly so! PC: What were you like as a teenager? Did your condition stop you socialising as much as you would have liked to? CM: Yes and no. One of the best years was my freshman year in High School. I was healthy, really starting to discover girls. Ya know, doing the typical stuff a 9th grader does. Trying to stay out of trouble. Having loads of fun! And, because I would sometimes have flare ups of the JRA I had a lot of pent-up energy so when I was healthy I’d be a bit rambunctious; I never was in all that much trouble but I think I was pretty annoying to some of my teachers. I wasn’t a delinquent or anything, and a pretty good student, I loved to read, but I could be a real cut up. Seeking attention I suppose. I really enjoyed getting those laughs from my classmates. And, performing so to speak. Especially getting the laughs from the girls. It was a real icebreaker. PC: So, whilst we are on the subject of girls, how did you meet your gorgeous wife? CM: Thank you for saying so. She really is gorgeous and such a special, unique person. About 14 years ago I was doing a short film for a friend of mine and she happened to be doing him a favour by cooking dinner for the crew and cast on that particular evening. I was waiting to shoot my scene in a holding area across from the kitchen. She was chopping vegetables and, and I just kept thinking, ‘Wow! That woman is beautiful! !’ I could hear her talking to people and I thought, ‘Hmm, she also has a really great brain and she is wickedly funny.’ I was loving it. Just hanging back there watching her. Like I had a front row seat to the best play in town! We soon became friends and for about a year we spent a lot time together watching films, all of Robert Altman and John Cassavetes movies, many, many movies actually, reading Shakespeare together. Listening to Jazz. We just got really, really close. It eventually turned into a real relationship and we were married in 2006. PC: She is a very interesting woman. CM: I’m not just saying this because she is my wife but she is also one of the best actresses I know. Extremely talented. Very beautiful on camera. She is also very much in love with the theatre. PC: I was reading about her being able to speak a host of different languages and having lived in Europe. CM: She’s remarkable that way. She has this incredible ear for languages and yes, she has lived for periods of time in other countries. France, Spain, Brazil and the Czech Republic. PC: You are blessed with having an amazing father and wife; you have nothing to complain about do you? CM: No I don’t. I really am living a fulfilling and extraordinarily fun life. I’m surrounded by inspiring and generous people that I love and also have the good fortune to work at what I love to do. None of it came easy, though I must say. The acting career didn’t come easy. My Dad was right. There were no short cuts. PC: How did you get involved with acting? CM: When I was in high school I thought it was something I’d never want to do, I would see the theatre people hanging around and I never even considered it. I just didn’t feel a connection there. I had moved to California on my own when I was about 20, about an hour from LA. Riverside, California. I had a job working in a food stamp office and also the Bureau of Prisons. I thought, ‘Hey, I’d better get back to college and figure out what I really want to do with my life.’ Because I’d been so sick as a kid I knew that whatever it was it had to be joyful, fun and somehow meaningful. Something that I had a feel for. Because I had spent so many boring and long hours as a kid when I had been ill I wasn’t about to be bored with whatever occupation I chose. I went to a community college and signed up late. They said, ‘There is only one class available at this point. A theatre class and you’ll be doing some acting.’ I thought, ‘No way! That’s not for me!’ But I said, ‘OK, I’ll take it just to be back in school and I’ll decide what I want to do the following semester.’ I walked into that first class and came out 2 hours later a changed young man. It had lit a fire in me that’s still with me today. More like a blaze! I wound up doing some plays in community theatre and eventually came to NYC to study with Uta Hagen. I really wanted to be a part of the rough and tumble NYC Off Broadway theatre scene. You know, Sam Shepard plays and that kind of thing. That’s eventually what happened and it was by doing a Sam Shepard play that I fell into a movie and TV career. PC: Your APT 929 Production company has something to do with Geraldine Page and Rip Torn doesn’t it? CM: Yes, our company is on the 2nd floor of their brownstone in NYC. It’s run by their son Tony and the space is called Torn Page. It’s a place he created as a legacy space for his parents. They were a couple of the best actors this country has ever had. Especially from my generation. A number of years ago he asked my production company to be the company in residence. I had been a student of Geraldine’s and also had the good fortune to act with her in my first professional acting jobs. I did 3 plays with her in 2 years. It was a real education and I would often spend hours with her late into the night talking shop. She was a real mentor and friend. We have a really wonderful community of people that are developing film and theatre projects. We’ve been making a number of short films and are slowly moving toward making features. Our community includes actors, writers, directors, producers and designers. We also teach. I teach a class of my own every Wednesday evening that is filled with the most inspiring students. They are all professionals with great energy and I learn so much just by working with them. It’s such great fun. Very invigorating. Although the class ends at 11pm, in the tradition of Geraldine, and if I’m not shooting the next morning, we often stay until 2 in the morning. Just talking shop. PC: Tarantino, how did you get to work with him? I mean c’mon Quentin Tarantino! CM: I’m infinitely grateful to Quentin because he kind of started my movie and TV career. I had done a number of Sam Shepard plays and I was asked to do a workshop of a new play of his called The Late Henry Moss; because I had worked with Sam and Joe Chaiken the director, on other projects they asked me to do the workshop as Sam was still developing the play. The world premier was already cast and set to be done in San Francisco with Sean Penn, Nick Nolte and Woody Harrelson. When it came to New York they were recasting it and they offered me the part that Woody had done. A great part. A taxi driver in New Mexico who talks in a machine gun patter. I had grown up in Arizona around those kind of guys and just knew exactly who that man was. I was acting with Ethan Hawke in the play and he brought Quentin one night. About a month later I got a call from my agent who said that Quentin had written me a part in Kill Bill. CM: So I worked with Quentin and then with his friends Robert Rodriguez and Richard Linklater. Then with Quentin again on an episode of CSI. Not a bad start to the movie business. He taught me a lot about film too. I spent a few days down at Richard Linklater’s ranch a number of years ago, Quentin was there and I said at one point, I would like to write and direct my own films. I asked him, ‘Should I take a little time off from acting and go to film school?’ And he said, ‘No, no. Just keep acting. Don’t go to film school, go to movies.’ He said, ‘Watch a movie every day.’ So I was able to do that for 10 years (I was pretty obsessive about it) I watched films from all over the world, found out what Quentin’s favourite films were and watched those and watched the directors that inspired those. It’s been a great education. It’s been my film school. PC: And what’s he like as a man? I mean, he projects a certain image: is he as down to earth as you are? CM: Passionate, so passionate about film and really, really fun! He’s a blast. I love the guy and admire his work a lot. PC: I’ve only recently started watching The Path; there are some pretty big hitters cast-wise. When I have spoken to other actors on various shows like The Americans, they have told me it’s like being part of a family and that everyone wants each other to do well, but they have also told me it’s not always like that on a set. What’s it like on The Path? CM: It’s beautiful group of people. A real family. From the writers to the producers, to the actors, to the crew. The sets are a wonderful place to work and that’s a reflection of Jason Katims, executive producer and Jessica Goldberg, the creator and also executive producer. We all care deeply about the show. We are dealing with some extremely intense and meaningful material and there are no ego issues, never any tension. We just get in there and dig deep. Incidentally Jason was an old friend of mine and they had been trying to cast the part of Richard in The Path. He was watching Blacklist one evening with his daughter and there was Glen Carter. The next day my phone rang. PC: I’ve read in season two, it gets a lot darker for your character in particular. When you go home at night are you able to switch off from that or do you dissect and analyse it? CM: I switch it off. Just flip the switch to off and I’m back to my own thing. PC: Do you never go home and think about all these cults or movements, or whatever they are called, like in The Path? Do you wonder about them or just put it out of your head? CM: I think about it a lot but that’s part of the joy of the work. I’m a bit obsessive that way but I think it’s really because I just enjoy doing it so much. Sometimes I just spend a lot of time hanging around the character’s thoughts. Trying to understand his thought process and creating an inner thought process, a thought logic that I can run with between action and cut. I’ll often meditate on it at night before I go to sleep. But I’m pretty good at just turning it off and turning it back on when I’m working. I don’t think that’s all that unusual. I think most actors would say that. There are some extreme cases where you need to stay in character, or stay in the guy’s head, if the stakes are particularly high in a scene or a part. I have done that on some occasions with The Path. I tend to get very quiet when I need to do that. Or, sometimes improvise a bit before they say action and then roll into the actual dialogue. It just depends on the situation and the set. Most importantly, I try not to ever allow my process of working interfere with the process that other people use. Everybody cooks the soup in their own way. What matters is how we come all together to make the whole scene fly. PC: Let’s talk about Twin Peaks! I am excited about that! CM: Well, I can’t really talk about Twin Peaks. We are keeping pretty mum on that. The only thing I can say about it is: I am honoured to be in it, I loved doing it and I LOVED working with David Lynch; he is the perfect actors’ director! He’s a genius, a very good man and it was one of the greatest joys of my working life. PC: Were you a fan of the original series? CM: Oh yes, I certainly was! I hadn’t seen it in many years and when I found out I was going to do the new one I binge watched it again. He created a remarkable world with Twin Peaks! I pretty much love everything that David has ever laid his hands on. PC: You are an advocate for The Arthritis Foundation: you have talked about the healthcare costs involved in having arthritis. CM: One of the most difficult times in my life was in 1992, I’d been unemployed as an actor, was working a couple of day jobs making very little money. Although the rheumatoid arthritis had been in remission for many years it had done such damage on my joints as a kid that my hips were shot. It was incredibly painful and I could not get hip replacements because I had no health insurance. I ran up scores of doctors’ bills. Couldn’t get insurance because of pre-existing conditions and any medications that were prescribed would be almost triple the amount of money I was making. A lot of doctors wouldn’t even see me because I didn’t have health insurance. Finally there was a sort of emergency medical clause I had discovered but you had to be without any income for maybe three or four months. I certainly didn’t want to lay it on my father. I had a great friend who said, ‘Why don’t I lend you the money to survive on? You stop your job and then you can qualify and get those hip replacements. When you go back to work, you can pay me in instalments.’ So that’s what I did. It took me about a year to pay him back. But I did get through those months and had them replaced at the Hospital for Special Surgery in NYC. I remember to this day how challenging that was…I will never forget it; it was often humiliating and I would go as far as saying, dehumanising. So, yes I’ve been very passionate about healthcare. And now that they are trying to dismantle the Affordable Care Act, I’ve become an advocate not only for Healthcare but also the Arthritis Foundation. The AF has given me the opportunity to not only speak to young people, but also lobby Congress to protect a lot of the important tenets of the Affordable Care Act. In particular some things we at the AF are focused on: pre-existing conditions, lifetime caps and research funding. PC: On Spotify, as part of The Blacklist playlist, there are individual character playlists. How much does the Glen Carter playlist represent Glen or are the tracks more your own personal choices? CM: All Glen, it’s all Glen. Most of that music I probably don’t listen to. I haven’t listened to it in a long time but I cooked it up. Glen is so well written and I immediately knew who he was. That’s because of the writers. That made it easy to get into his ear and heart for music. I had a lot of fun choosing that list. PC: And what would be on Clark’s list? CM: On my list? Well, number one I’m a huge fan of Bob Dylan, Johnny Cash, The Band and good old Rock ‘n’ Roll. I’m also a very big fan of jazz. And, a huge fan of the blues. Fat Possum records. I love old back hill folk music too. T-Bone Burnett “Oh Brother Where Art Thou” kind of stuff. I also do love classical as well. I guess it depends on the time of day. For instance late at night it would be something like John Coltrane or Bach’s cello sonatas. In the morning I can swing between Coleman Hawkins, Bob Dylan or Puccini. I love music. Don’t we all? PC: Do you go to many concerts or musical theatre? CM: We go to the theatre a fair amount, we tend to go to BAM (Brooklyn Academy of Music) a lot; once if not twice a month. Music – I go to jazz clubs in New York, with my wife. She is a huge jazz person. There’s a concert I really loved, a few years ago. Bob Dylan played in the Doubleday Field in Cooperstown, New York, which is where the Baseball Hall of Fame is. I’m a big baseball fan. The Yankees. I’d never been to the Hall of Fame and there I was in this charming, absolutely gorgeous, little ball park. The grass is really really green and the dirt sort of reddish. It’s a beautiful baseball field and Bob Dylan was on stage in the outfield. Wow! We sat on the grass a few feet from the stage. It was one of Bob’s really good nights and, man, it was just a great concert. Beautiful evening! One of the best! PC: Describe how you would spend your perfect day. CM: With my wife on a foggy, cosy seaside. PC: Tell me, what you cannot live without? PC: Well I have thoroughly enjoyed talking to you, it has been an absolute pleasure, and I look forward to seeing you in the shows you are on. CM: It has been a pleasure talking to you too Paula and thank you for having me. Tune in to Blacklist everyone. It’s a great show! Thanks to my editor Davina Baynes.